Welcome, lovely listeners, to another issue of the Comics Squee podcast. Just a little heads up about this show. The guest we were supposed to have flaked on us, twice. Keenan and Mel boldly stepped in at the last minute to fill the void – thanks again guys! As a result we recorded at a LATE hour and certain of us had some adult beverages. So we’re somewhat ramblier and vauger than usual. This is issue sweet 16 of the Comics Squee podcast. Each podcast our panelists, complete with holographic foil covers, discuss the comic books, graphic novels, and general sequential art geekery they love. I’m your host, Chriss Cornish. Joining me is regular squeester John Oliver, a dark fantasy author. Filling in for April is friend of the podcast Keenan Kibrick. 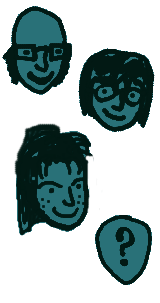 Returning to take our 4th chair is comics creator Mel Dale. He discuses movies on the Monster Popcorn podcast and issue 1 of his puppet noir comic Your Cold Felt Heart will be out soon. Loyal listeners will recall Mel from issue 3. 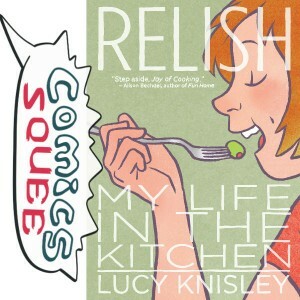 In this issue of Comics Squee we have: a memoir told through food ; the best Marvel boardgame ever ; modern silver age style super heroics ; and something better than Fruits Basket. Tangent 1: Does being foil covered make us the Silver Silver? John introduced Mel to The Red Panda several weeks ago. This is an audio play podcast in the two-fisted adventurer vein. They also have separate comic book adventures published through Monkey Brain Comics. The comics are incredible, written by Greg Taylor who writes and voices The Red Panda in the podcasts. He’s a pulp hero in the style of The Shadow meets The Green Hornet, who is joined by The Flying Squirrel. And they adventure through 1930s Toronto, Canada. 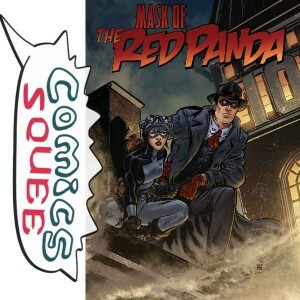 The first comic book volume takes a supernatural bent and is called Mask of the Red Panda. It’s fun, pulpy, yet fresh. This is a memoir about food, it’s role in the author’s life, and how it’s played a part in her experiences. Each chapter has a topic focus. One story is about a trip to Mexico with her best friend who is the son of her Mom’s best friend; about the candy they eat, the food they discover, and how they became young adults that trip. If, like Chriss, your family stories all start with food you’ll be able to relate. The art is wonderful as well. It’s flat colors and lines are reminiscent of the “ligne claire” style and Herge, but still very much Lucy Knisley’s own style. We consider Legendary: A Marvel Deck-building Game the BEST Marvel game ever. It’s a co-operative game, which means you team-up with your friends to battle a randomly picked supervillain and defeat their dastardly scheme. And then you get to select the Marvel heroes you want to play with and then choose any additional villains to fight. This is NOT a collectable card game. 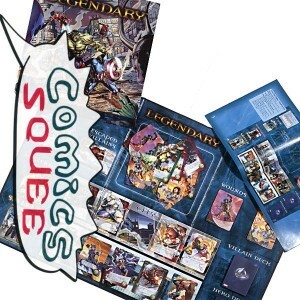 Everything you need to play Marvel Legendary is in the box. There are three expansions, but they’re to add more flavor and for when you’re ready for higher difficulty. Legendary is 1-6 players. The longer, full name that both the anime and original Japanese version of the comic books goes by is Kodomo no Omocha . 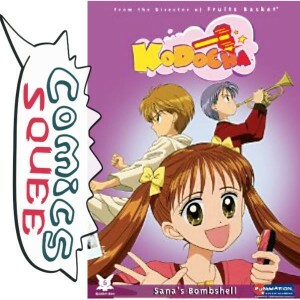 Kodocha is the one manga (Japanese comic) that Keenan and his wife like even more than Fruits Basket (which we squeed about on issue 3 with guest Paul Cornell). This is probably the most adorable, cute comic you could ever read. The story is about this little girl, Sana, from 5th to 8th grade. She’s a child actor is the star of a show called Sana. She’s super hyper. It starts off this sweet plot about her and this ‘devil boy’ at school that’s her nemesis. And as the story goes you realize he’s that way because of trauma and she tries to help him. The cutest, most drama-rific show/comic you can find. And Kodocha is sweet and ends really well. It’s also short, for a manga series, only 10 volumes. Next issue of Ms. Marvel. Our little local comic convention here in San Diego (you may have heard of it) and Wootstock.